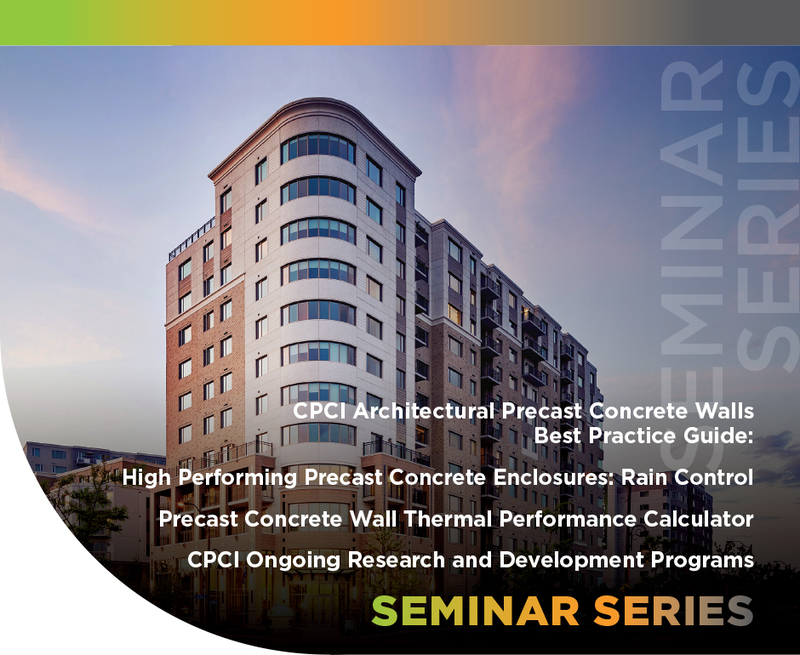 The seminar is organized to take the user through the design and construction process starting with a discussion of the characteristics of architectural precast concrete, then present the fundamentals of building science, building envelope performance including thermal performance, precast concrete product costing analysis and how precast concrete can fulfil your project performance criteria. Malcolm has over 35 years of structural design experience for concrete, steel and wood structures. He has experience in building science, manufacturing and construction. He has been involved in the design of simple, single storey precast structures to 50 plus storey residential projects. Malcolm has designed precast for water treatment facilities, multi storey condominiums, large institutional projects (hospitals and courthouses) and multi-storey commercial and office structures. He has been involved in building science products for the past 30 years from manufacturing to construction and is active in the promotion of effective building envelope construction. Malcolm sits on a number of CSA technical committees for advanced materials and many of the committees for the Canadian and American Precast/Prestressed Concrete Institutes. Malcolm is active in promoting the development of new products and methods of construction using precast concrete. 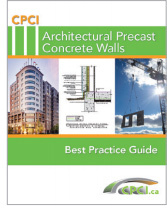 Malcolm is the author of Architectural Precast Concrete Wall Best Practice Guide. For more than 40 years, Ken and Hanscomb have been intimately involved with the construction and real estate development industry across Canada. Professionally trained and qualified as a Quantity Surveyor, Ken has two diplomas in Urban Land Economics from the University of British Columbia (UBC), one in Appraisal and one in Real Estate Management. He has also presented programs featuring mortgage underwriting skills, consulting skills, public speaking and management techniques to such institutions as Canada Mortgage and Housing Corporation, Business Development Bank of Canada, Veterans Affairs Canada and the Certified General Accountants of British Columbia, to name a few. Ken has successfully delivered quantity surveying, project management and development management services to a wide range of P3, public and private sector building projects with a combined construction value well in excess of 30 billion dollars. Prior to starting his graduate studies, Val worked in the precast industry and was involved with designing and manufacturing various types of underground precast structures. During his studies at Queen's University, most of his research work was focused on developing and investigating new designs of precast insulated concrete walls using high strength materials such as Ultra High Performance Concrete (UHPC) concrete and FRP reinforcement. He also has studied the benefits of using FRP stay-in-place forms as a replacement for reinforcement in concrete walls and beams. As an integral part of the CPCI team, he is involved in the development of and lead for best practice guides and CPCI research projects as well as providing technical support. The Guide reflects current recommended best practice in design and construction. Best Practice in the context of this guide means design and construction practices that are an effective balance of currently available technology and materials, and normal skilled workmanship to produce functioning and durable buildings. The Guide does not consider the requirements of architectural precast installed as the facade of unenclosed structures, buildings with extreme interior environmental conditions or the structural requirements of load bearing architectural precast. Value $99.00. Energy and thermal performance requirements are growing and playing an increasingly significant role in building codes throughout North America. However, understanding and meeting the requirements has also become increasingly complex for building designers. At the same time, it has become clear that important decisions regarding basic enclosure assembly design and window area need to be made early in the design process to achieve the most cost-effective, energy efficient, and comfortable building. 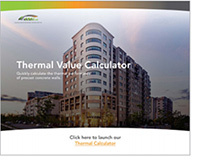 CPCI's new Web-enabled software provides designers, builders, and owners with a program to ensure compliance options for modern building energy codes, and suitable methods for quickly estimating, at an early design stage, the thermal performance of precast concrete enclosure wall systems. Value $120.00. Attendees will earn Professional Development Units (PDU'S) and/or Professional Development Hours (PDH'S). 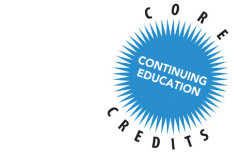 A certificate of completion will be provided at the conclusion of the seminar.